Germany’s fintech ecosystem has boomed in the past years with Berlin emerging as one of Europe’s leading hubs for fintech and blockchain technology. 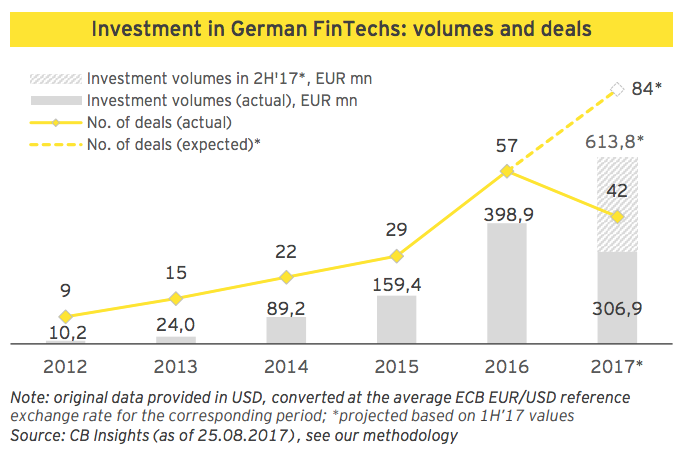 Germany now hosts about 300 companies, which raised an estimated 613.8 million EUR in 2017 through 84 deals, a 53% increase from the previous year, according to the Germany Fintech Landscape, September 2017, report by EY. Berlin is undeniably the largest fintech hub in Germany, currently serving as base of 27% of the country’s fintech industry. 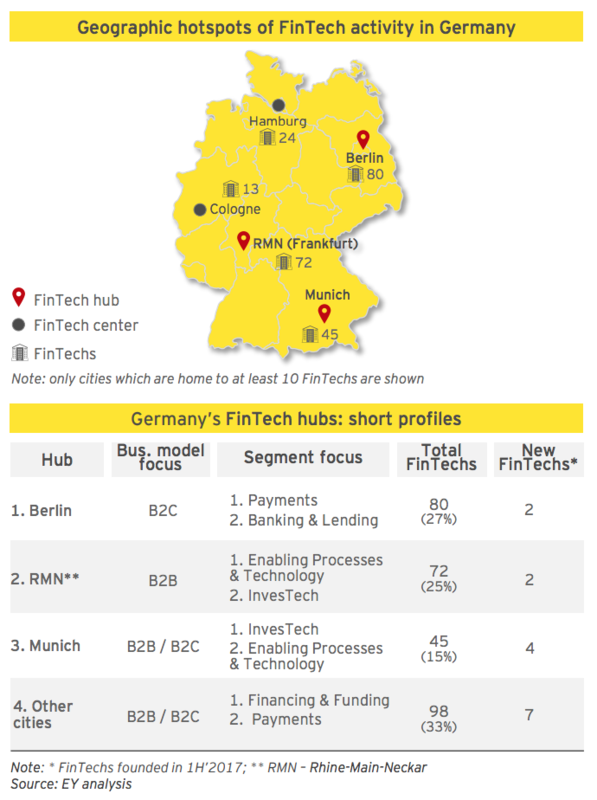 Berlin is followed by the Rhine-Main-Neckar region with its center Frankfurt, hosting 25% of the country’s fintech ventures, and finally Munich with 15% of the domestic fintech ventures. 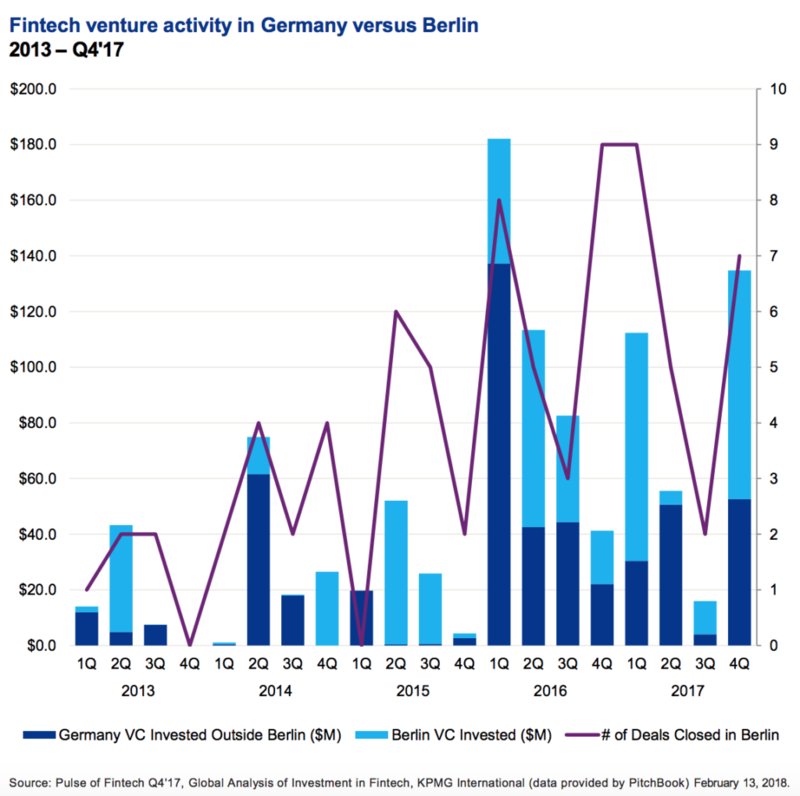 In 2017, Berlin fintech startups raised half of the total fintech investment across the country, further demonstrating the city’s position as a leading fintech hub in Germany, according to a separate report by KPMG. In 1H’2017, half of the top ten largest fintech funding deals went towards Berlin-based companies, including financial product online marketplace Raisin (Weltsparen) which raised in total 60 million EUR, fintech and platform provider solarisBank which recently raised 56 million EUR. 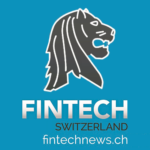 Other big name there are insurtech startup simplesurance which raised 19.2 million EUR, banking and lending startup Spotcap which raised 14 million EUR, and financing and funding startup Finiata, formerly Bezahlt, which raised 5.5 million EUR. Germany’s challenger bank N26 raised US$160 million in its Series C funding round in March. The round brought N26’s total funding raised to U$216 million, making it one of the most well-funded fintech startups in Germany. One area of focus in particular that has seen significant growth in Germany is insurtech, with traditional insurers increasingly recognizing the importance of digital transformation. These have begun making significant investments in fintech companies as well as in the development of the insurtech ecosystem through support of accelerator and incubator programs. In recent months, the country has seen a number of unique initiatives in the insurtech space, including a growth in partnerships between banks and insurtech companies. These include for instance Deutsche Bank’s recent partnership with Berlin-based Friendsurance, a collaboration designed to make it simpler and more transparent and convenient for clients to arrange for the insurance needs. But also the partnership between German fintech incubator FinLeap from Berlin for its digital insurance platform Element with financial services group Signal Iduna. 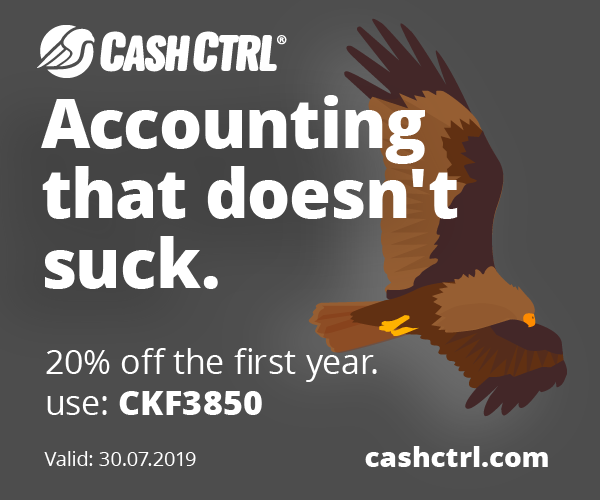 Berlin-based insurtech startup Clark recently raised US$29 million in its Series B funding round, bringing its total funding to US$45 million. Since its inception in 2015, the startup has become one of the largest Germany’s largest digital broker. Another area where Berlin is known to be a leader in is blockchain technology and cryptocurrencies. A handful of stores have accepted bitcoin for payments and now a growing community of crypto-related startups and investors are looking to make cryptocurrencies more accessible to everyday consumers. “Berlin is the crypto capital of Europe if not the world,” Fabian Vogelsteller, a lead developer of Ethereum, told Handelsblatt. He is working on Ethereum’s future in Berlin, and his partner, Gavin Wood, told the Wall Street Journal much of it was developed in the city. Berlin is also home to the IOTA Foundation, the organization overseen the IOTA platform. IOTA is a public distributed ledger that utilizes a novel invention called the Tangle to achieve scalability, zero transaction fees and decentralization. IOTA is specifically designed for the Internet-of-Things. Another notable startup from Berlin is Bitwala, a blockchain-based payment service provider. In contrast to other money transfer services like Western Union, Money Gram and Transferwise, the German startup utilizes digital currency to offer a much faster and cheaper solution. The BlockShow Europe 2018 conference, by Cointelegraph, will take place on May 28 and 29, 2018 in Berlin and will bring together some of the industry’s brightest minds in the blockchain and cryptocurrency space. The event is expected to attract over 3,000 guests, 120+ partners, over 70 recognized speakers and more. 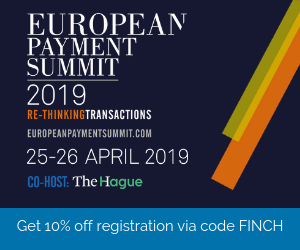 Save 30% off from your ticket purchase using our special code: 30FINTECHNEWS. Featured image: Berlin, Germany, via Pixabay.